Welcome to the world of better Security and CCTV installations. Welcome to Black Ops Security Solutions. Black Ops has a track record of delivering security systems consultancy, design and installation services that support some of the world’s leading businesses. Our solutions and CCTV installation services provide safeguarding and support in Healthcare, education, and protect the high value items of international retail and logistics companies. We have achieved great success in most verticals out in the market place. But there’s more to us than this. It’s more than what we did yesterday. It’s also about what we’ll do today and tomorrow to provide our clients with operational support and maintenance services to minimise risk in today’s agile threat environment. Our Mission at Black OPS is to assist all business owners with improving their bottom line and also keeping an “eye” on all the day-to-day risks. With our current economic situation Black OPS takes every customers requirements personal, Designing cutting edge Security Solutions within our wide range of service offerings. We choose to offer the highest quality products at the most competitive prices the market can offer. We strive to be known as a business that is “small enough to care and large enough to meet all our customers requirements” Black OPS distinguishes itself from competitors by offering turnkey products and advanced software solutions combined with our recognized industry-leading customer service and support. Our continual emphasis on research and development of next-generation products ensures the company remains ahead of the market, meeting demands for value-added, flexible, feature-rich and cost-effective technology. 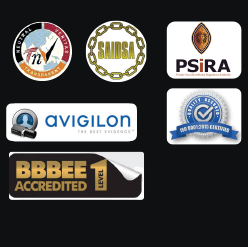 Black Ops Security Solutions (Pty) Ltd, as a recognised value-added supplier and service provider, is also verified and holds a level 1 scorecard. © 2017 Black Ops Security Solutions.